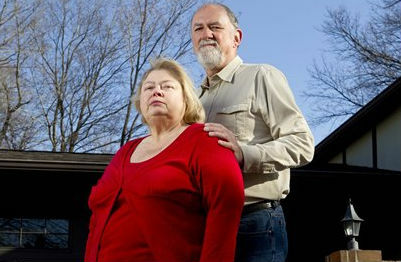 Cheryl and Jim Friedman, retirees in St. Louis, had two-thirds of their retirement money in the stock market in 2008. When the financial crisis struck that fall and stocks lurched up and down with nauseating speed, Cheryl, a former accountant, pulled the money out. CHICAGO (AP) — Cheryl and Jim Friedman, retirees in St. Louis, had two-thirds of their retirement money in the stock market in 2008. When the financial crisis struck that fall and stocks lurched up and down with nauseating speed, Cheryl, a former accountant, pulled the money out.